Made possible by player Zullie the Witch these Glyphs allow you to load into arenas that contain unused bosses and battle arenas used to test fights. Some of these contain multiple boss fights at the same time or dual bosses of the same one. Be mindful to back up your save if you think about doing these though. There is no risk to your system though. 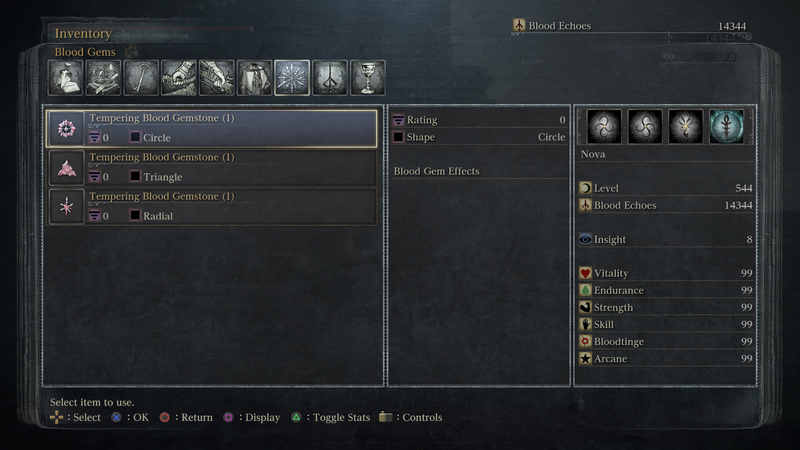 Credit to this information to user NovaTheLoneHunter on the Bloodborne Reddit for collection all the Glyphs. There are slight alterations between the player's game versions such as: Nightmare Moon Presence having or not having a proper boss health gauge, fog dissipating or not after battle, invisible lamp appearing or not, Nightmare Moon Presence being hostile before entering the boss room or not. Research is currently being made on this. If you like to help, please fill out the Input Form. All data can be found in the Spreadsheet. With the current data. I believe AS and JP regions with Bloodborne The Old Hunters Edition are most likely have a more working version of the dungeon. 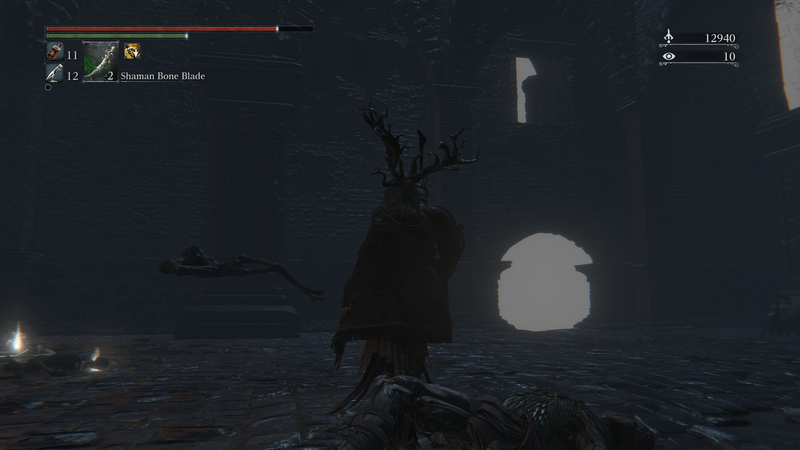 The name of the boss is actually "Moon Presence" from what is displayed on the boss health bar. Nightmare is fan named on it's unique form. There are slight alterations between the player's game versions such as: The Great Beast being hostile or not. 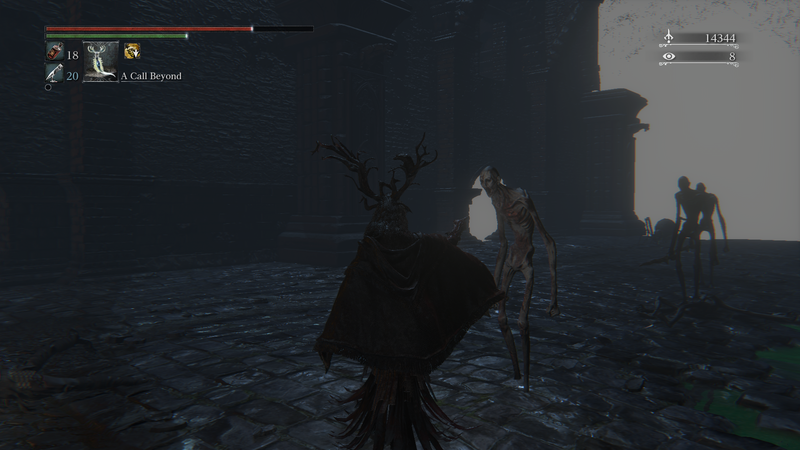 This dungeon contains some cut enemies: Patches the Spider's floating head, Patches the Spider with a fall body that acts a Messenger Bath without conversation except when killed, a Manpig and a Pthumeru Spirit. Even if Patches the Spider dies, the Messenger Bath can still be interacted with. Killing Patches the Spider in this dungeon doesn't effect the main game one and respawns in this dungeon on reload. He also drops a Great One Wisdom on death. I've found that killing the real Patches in the Lecture Building after won't drop a Great One Wisdom. This would be a way of getting his Great One Wisdom without killing the real one. Also. As long as the real one in the Lecture Theatre is alive, he'll always say his death dialogue. Patches the Spider won't turn hostile when attacked. There is an invisible Labyrinth Watcher (Cleaver) with only its cleaver showing. Some Celestials stay under ground and are immune to damage, even to Madaras Whistle. Sound can glitch up while inside this dungeon. Blood-letting Beast's (Head Version) body can't be damaged. It's not possible to reach layer 2 or 3. However it's possible to fall down on a thin flooring to see some of the content. All the objects can't be interacted with. No chest can be opened nor destroyed. Some objects that normally can be destroyed are invulnerable. During my stream. I managed to land on the second layer safely but I was unsuccessful getting into the large corridor [Stream] Zullie's Hacked Dungeon 2 @ 1:16:55. Bells will only work when in "Layer 1" area. Some enemies are NG difficulty while others are NG+6. 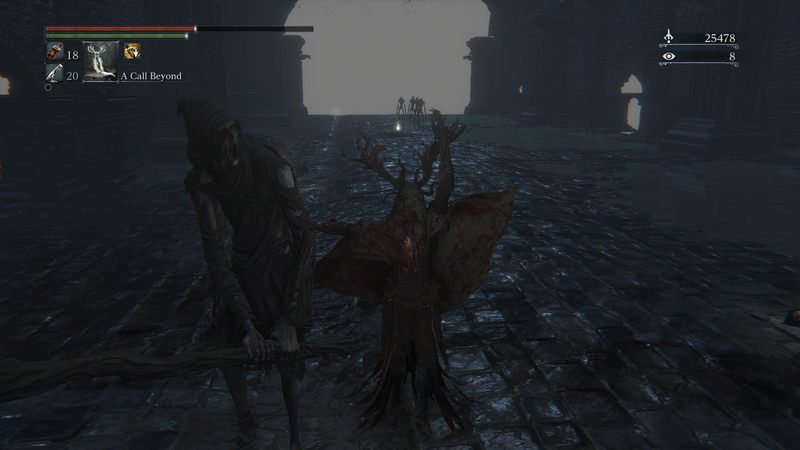 The large natural Blood Licker, found in Forbidden Castle Cainhurst, blocks one one of the corridors. Some areas are incomplete and impossible to reach. Chamber of the Seal contains a hunter's phantom that is solid and can be killed. The blood spill doesn't stick to the player hunter. It's possible it's the same hunter behind the corridor wall in Nightmare Moon Presence dungeon. There are non-hostile crawlers and large crawlers in this dungeon. All 3 Mergo's Wet Nurse are NG range. The game plays multiple instances of the Lullaby for Mergo. There's a lamp in the room but has no interaction functionality. The third one isn't seen until a short time period. There have been reports of players being able to damage the Great One Beast's coat off but I've had no success with the broken version of the dungeon. The hunter ghost seen in the Nightmare Moon Presence dungeon also appears as well as the region and version difference effects. It's strongly recommended to wear the Beast tier 3 rune before entering this dungeon to prevent fall damage. There is a hunter phantom that can be killed in the first room here too. There is a Manpig fighting a Beast-possessed Soul near the Messenger Bath. BPS usually wins most of the time. There are some indestructible oil containers. There is a bounce of Friendly Diggers in one of the rooms. They even die in 1 hit to a Pebble and can survive 1 hit from Shaman Bone Blade. Some enemies do very little damage while some can take 80% of health off. The Brain Sucker can instant kill any BL hunter in one grab. There's a Loran Cleric that is unable to throw fire balls. There's a chest that can be opened with 2 QS Bullets inside it. Can't be destroyed though.